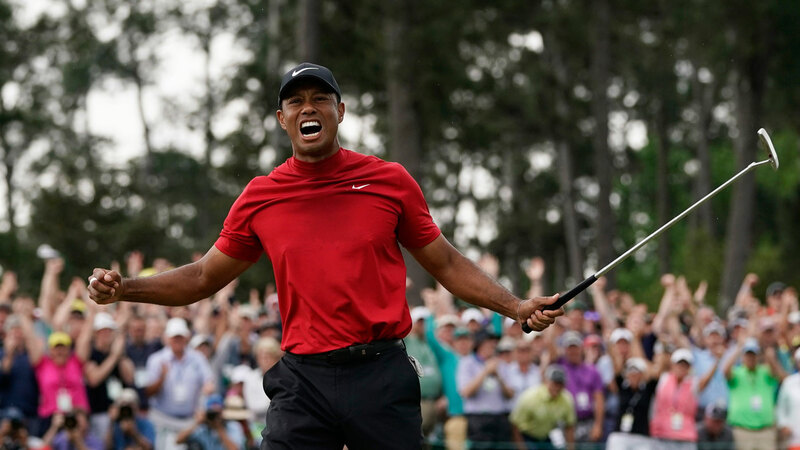 In 1997 Tiger hugged his father beside the 18th green after claiming his first title, 22 years later he embraced his children in almost exactly the same spot, amid almost unprecedented scenes at Augusta as the crowd cheered wildly. The 12th hole has ruined many a challenge over the year, and incredibly four of the last five players found the water. Brooks Koepka, Ian Poulter, Franceso Molinari and Tony Finau all made double bogey, while overnight leader Molinari threw in a double bogey seven at the 15th for good measure.